This textural sandal is essential for summer! Set on a striped foam sole, this flatform design features a braided trim as well as embossed and punched straps across the foot. 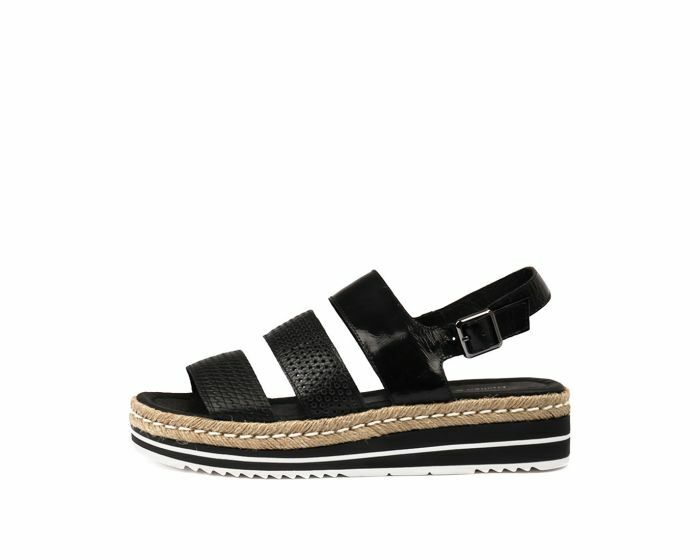 A slingback style that looks great with warm-weather casuals, this will be a staple of your seasonal wardrobe!